Don’t you just hate it when you attempt to buy a healthy batch of vegetables at the grocery store, only to have them go bad before you can even eat them? By using these simple tips, you can learn how to prolong the lifespan of your veggies and keep your greens fresher for longer. Don’t leave leafy greens on the counter. While many types of produce (such as apples and potatoes) are okay when left out in the kitchen, leafy greens are much delicate and require cooler temperatures for safekeeping. Wash them. 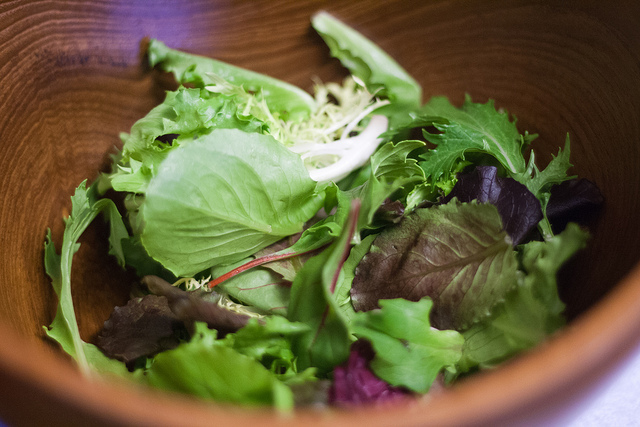 As soon as you get your greens home, wash them with an all-natural vegetable cleanser and dry with a salad spinner to remove any chemicals, dirt, or pests. Remove bad leaves. If you notice any brown spots on your greens, carefully remove them to prevent them from spoiling the whole bunch. Don’t store them on a shelf in the refrigerator. Because everything in your refrigerator is not created equally, greens cannot by stored in the same way as, say, Chinese food leftovers. Instead, place them in the designated crisper drawer. Plan how you’ll eat them. To prolong their lifespan further, plan to eat fresh salads using greens first and sauté or stir fry them once they near their wilted phases.